Designed for broadcast, post and ProAV, as well as OEM developers, KONA 1 is a robust, cost efficient single-channel 3G-SDI 2K/HD 60p I/O card with serial control and reference/LTC. 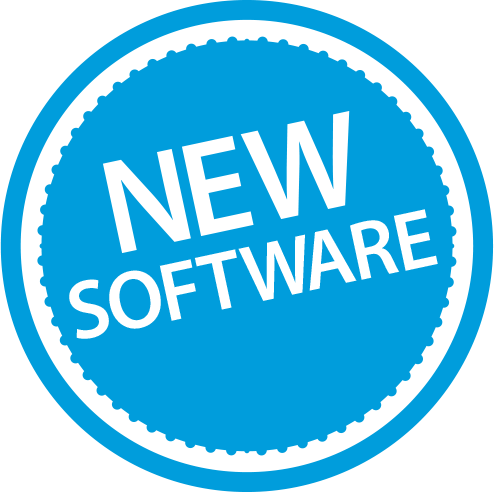 KONA 1 features standard application plug-ins and supports capture, monitoring and/or playback with software applications from AJA, Adobe®, Avid®, Apple®, Telestream and more as well as AJA SDK support. KONA 1 enables simultaneous monitoring during capture (pass-through) and includes: full size SDI ports supporting 3G-SDI formats, embedded 16-channel SDI audio in/out, Genlock with reference/ LTC input and RS-422. KONA 1 provides cost-effective and powerful professional 3G-SDI support for robust compatibility with Ingest, Editing and Visual Effects applications. Capture, Monitor and Output frame accurately up to 2K 60p over 3G-SDI with Adobe, Avid, AJA Control Room and many more applications. Reference and LTC spigots provide the professional frame stability and time code based reliability you need for broadcast, production, ProAV and creative finishing projects. 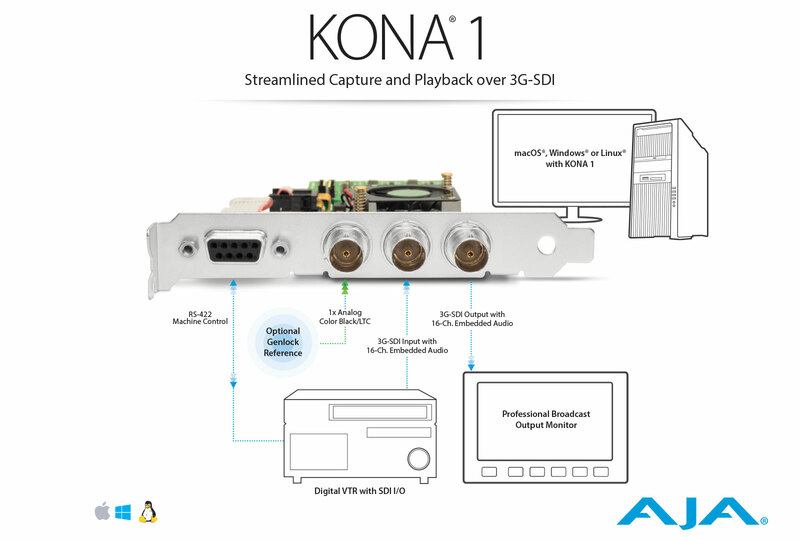 Supporting macOS, Windows and Linux, KONA 1 offers cost effective simple connectivity for a range of 2K/HD/SD workflows across 3G-SDI with video pass through on SDI out while capturing. Powerful platforms for development partners. AJA's Developer Program allows partner companies to incorporate AJA products into their systems. By utilizing existing, proven video I/O devices, Developer Partners leverage AJA's expertise to develop and support these technologies, saving money and getting their integrated products to market more quickly.